The Streetlevel Espresso was carefully roasted for you by Verve Coffee Roasters. This latest version of Streetlevel Espresso made up of two incredible new coffees from Guatemala, Finca Candelaria in Alotenango and Los Santos in Chimaltenango. These are both fully washed coffees and they were grown between 1,500 - 2,000 meters. Pulled as espresso, it is quintessentially sweet with balanced notes of dark chocolate and perfectly ripe stone fruits and citrus. A good flavor and a nice low key espresso. Really a hit. Great flavor. Looked forward to every cup. I thought this one was OK, but my fiance really liked it. A nice blend, the flavor was not strong enough and did not hold up to milk. As a straight espresso or americano it was good. Wonderful espresso! Tasting notes of chocolate and cherry dance on every sip ending with a bright orange zip. Balanced. Notes of dark chocolate, citrus , lightly toasted nuts, and campfire. Great as straight espresso, but strong enough to stand out alongside milk. Enjoyed the citrus notes on this and the beans have been consistent through the week once dialed in. Preferred this to the fast track blend. A familiar favorite. Very smooth. Delicious and accessible. The roast was a bit light for espresso, was similar in balance and smoothness to the first selection than the espresso experience I am used to. It was more like a pour over experience, than a higher octane coffee I expected. My regular daily coffee drinking is pour over, but occasionally I like the higher octane and intensity of espresso. This did not really fit that bill. This coffee was good, but wasn't great in my opinion! It was well balanced, but I prefer a bit more complex flavors. I am a big fan of Verve and have had their Street Level before (have some in my pantry, actually). Would to try some of their other varieties as well. Great coffee with nice nuanced flavor. First bag from Verve and it didn't disappoint! Not the best blend but a good one. This coffee was just ok. I'm sure you are familiar with the aroma you experience when you first enter a gourmet coffee shop. That's exactly how I want my coffee to taste. Coffee should taste like coffee and not be too sweet and fruity. I was never a fan of flavored coffees. Why is it that you can travel abroad and walk into a coffee shop, hotel lobby, restaurant or even an airport and enjoy a superb cup of coffee that doesn't taste like chocolate, orange or any other fruit? Why can't we do that here? This is really excellent espresso – the best bag I've had so far from Mistobox. Best coffee we have received yet. Absolutely delicious. I liked this selection a little better than the Taylor Maid. It was fresh and the beans smelled wonderful in the bag, and during brewing. The beans were bigger than the previous roast and more consistent in size. Worked well as an espresso, and pulling shots is not my strong suit. Great on Chemex as well, but not so good for me on V60, which was a little surprising. The note profile was something I would gravitate towards when selecting a new coffee. Definitely could taste the citrus, maybe a little more on the sweeter side of citrus. 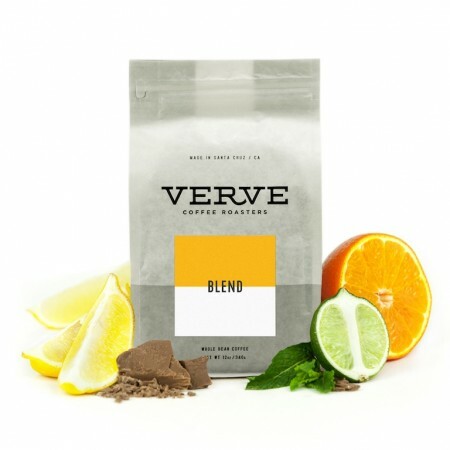 I absolutely would try another VERVE roast in the future. I enjoyed this coffee the most so far! It has some fruitiness to it that I like but it's not overpowering. I liked the coffee, didn't necessarily love it. I enjoyed the earthy tones, but it was a little too citrusy for me. Also, the roast was a bit too light. Living in the Northwest, my palate is accustomed to a darker roast. Though the coffee was considered a medium roast, in comparison to what I'm used to it would be a lighter roast. I guess I would be considered in the Northwest a medium to dark roast, chocolate and caramel note person. I enjoy a full-bodied coffee, but one that's not bitter. But I'm always open to something new. Very complex sweet tones. Not too bitter, not too sweet. Hard to describe the flavor - more earthy than fruity. Not bright. The bigger disappointment was only Chromatic Gamut. Well balanced with a touch of fruit and acid at the end. Pretty good. Not extraordinary but it was a solid cup of coffee. Not my favorite, I felt this had a bit too much bright citrus flavor for my tastes. So good. Well balanced and flavorful. Wow, just my type of roast. Medium and beautiful fruit notes. Amazing crema with every shot pulled. Smooth and drinkable. Not a big fan of espresso blends, but this was a good diversion from my usual coffee preferences. A bit better than the last time I had it, but still definitely not my thing. OK with milk, not so good as an espresso. Fantastic. Once I dialed in the grind, each shot was a reliable 2 ounces of pure, sweet, sweet creama. This was certainly one of the better coffees I have received from Mistobox, and wouldnt hesitate to purchase this one again. Might be the best coffee ever had. Lots of citrus at the front with a nice chocolaty finish. Delicious. the notes of each each flavor come through well. Probably best as a short or a tall with little to no syrup. Enjoyed it. It wasn't the dark, smoky roast that I usually enjoy but it was a different taste and I did pick up on the flavor notes. I generally drink bolder, darker roasts but this did open up my palate! Thank you.